A popular lowland circuit in Whirinaki Forest Park featuring tall podocarp forest and blue ducks. Verns Camp Shelter • By pmcke. This trip starts from the car park at the end of River Road just past Minginui. For safe car storage and track transport, contact Whirinaki Forest Holidays. Whirinaki Forest Park • By Siiri. The track to Central Whirinaki Hut is of a very high standard, making for quick and easy -- if tedious -- travel. However the scenery is nice, and worthwhile stops can be made at Te Whati Nui a Toi Canyon, the Whirinaki Falls and at Vern’s Camp where there is a newly erected picnic shelter. Just past the shelter are striking pumice cliffs. Verns Camp Shelter • Shelter (DOC). As you move up the valley, look and listen for the endangered native blue duck (whio). There are a number of pairs up near the hut. You are also likely to see or hear kaka, long tailed cuckoo, and robins. 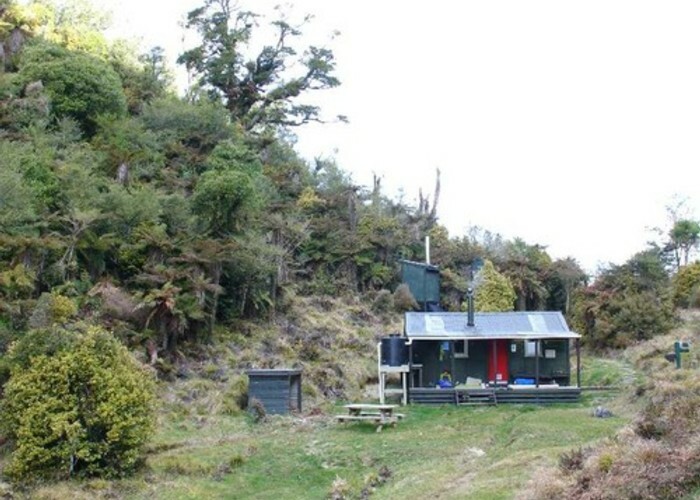 Central Whirinaki Hut is large (24 bunks) and is a popular overnight stop for many trips in the park. 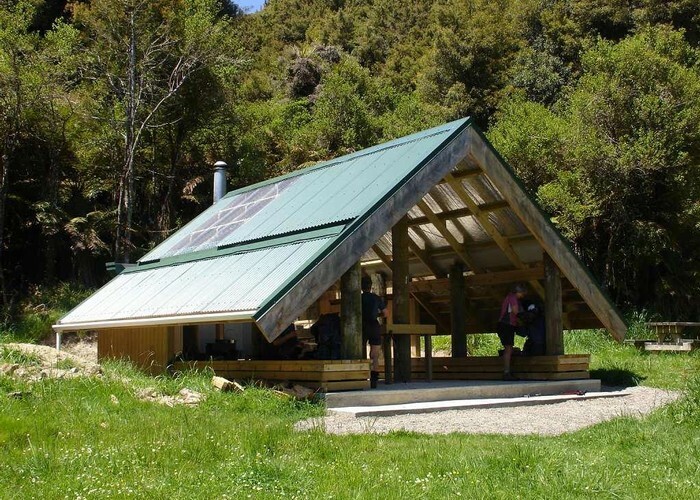 Central Whirinaki Hut • Standard Hut (DOC). Capacity: 24. South of the hut, track continues up the valley on a good track for about half an hour. At the bridge over the Taumutu Stream, leave the main track (which goes to Plateau Road) and head up the stream. The track now deteriorates and is in quite poor condition for about 1km. But follow the stream to the Kakaiti Stream junction, where a sign directs you to Mangamate Hut. (The route upstream will lead to Upper Whirinaki Hut). The track is now quite narrow and crosses the stream often. It is not as good as the track in the Whirinaki Valley but there are few obstacles and good progress can be made. The track initially goes up the Kakaiti Stream and then crosses a low saddle into the headwaters of the Kakanui Stream. There is some grassy camping space along here. At a point where the stream veers west the track leaves it behind and turns into a good benched track. It then climbs steadily away from the stream up to the next saddle, where Mangamate Hut sits facing north at 812m. 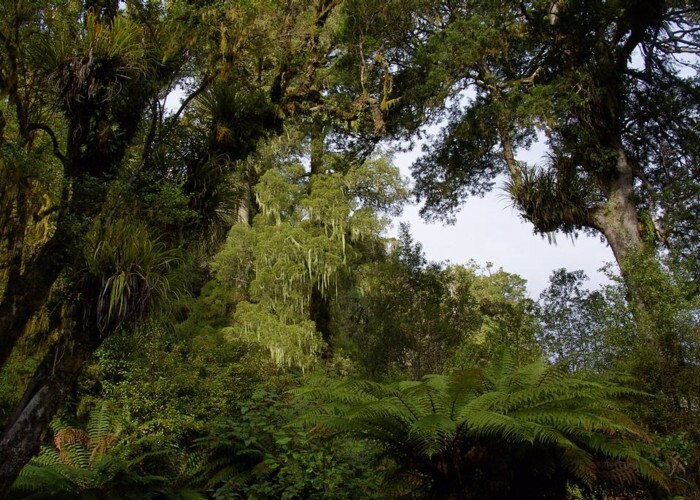 From Mangamate Hut, a good benched track continues downhill through ongaonga nettles and under tawa forest. Soon it zigzags down to the stream and meets a large clearing where two streams meet on the valley floor. This is the old hut site, with ample camping and a toilet. Mangamate Hut • Standard Hut (DOC). Capacity: 9. Downstream, the route follows an old 4WD track down the toetoe-edged Mangamate Stream, crossing often and sometimes remaining in the streambed. Mangamate Hut • By pmcke. Later, the track leads into forest and comes out to a bridge on the main Whirinaki Track. From here follow the good track back to the River Road car park. An extension to Upper Whirinaki Hut adds another 3 hours and is described here: Whirinaki River - Taumutu Stream. Added 18 November 2008 by pmckepmcke. 5 revisions, most recently 17 September 2013 by MatthewMatthew. 545 views in the past year (45 per month).